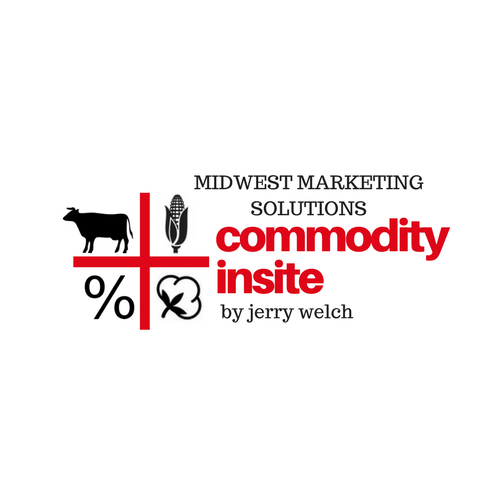 Below is my weekly newspaper column Commodity Insite from March 8. I hope you find something in my ramblings of interest. Every week there is usually a news item or two that is more than interesting. This week, a few stories were fascinating enough to pass on in this weeks column. One item had to with locusts, the other spilled from the lips of the Sage of Omaha, the most successful investor in history, Warren Buffett. An article from dailystar.co.uk entitled, Biblical locust plague set to hit Egypt was the first news item to catch my attention. Here are some tidbits.In the biblical book of Exodus, locusts are one of 10 plagues delivered upon Egypt after the pharaoh refused to free the enslaved Israelites. The rest of the plagues include all sorts of nastiness, including frogs, lice, hail, boils and the death of every firstborn Egyptian son. According to the article above, an outbreak of locust on the scale of biblical proportions is being spread through Africa, from Sudan along both sides of the Red Sea to Saudi Arabia and Egypt. And, Keith Cressman, the United Nations locust expert, warned: The next three months will be critical to bring the locust situation under control before the summer breeding starts. The article above goes on to state. Adult locust swarms can fly up to 93 miles a day with the wind and can consume roughly their own weight in fresh food per day, posing a great threat to crops and food security. According to Mr. Cressman, the last major locust outbreak was detected between 2003 and 2005 when over 12 million hectares were treated in Africa. And 1 hectare equals 2.47105 acres which means over 29.6 million acres were impacted in the last locust outbreak in Egypt. As a point of reference, the total farm acres in Iowa is around 31 million. The other news item catching my attention concerned Warren Buffett. From CNBC News with a headline that blared, Warren Buffett says, $10,000 invested in an index fund when I bought my first stock in 1942 would be worth $51 million today. There is no way I am going to doubt the accuracy of that statement tumbling from the lips of the Sage of Omaha. But let me throw in my two cents anyway. Here are some facts according to voice of America news (voanews.com) by Ted Landphair. He states, the typical American house in 1942 cost $3,775, a new car $920, and a movie ticket 30 cents. A postage stamp set you back 3 cents, your loaf of bread ran you 9 cents, and if your kid was smart enough you could get him into Harvard University for $420 in tuition per year. The average yearly income in 1942 was $1885. If Mr. Landphair is right, here is what the average individual in 1942 had to do in order to save $10,000 and invest in the S&P as Mr. Buffett suggested. The individual would have to save his entire salary for 6 years and 2 months. He could not spend a penny on his home that cost $3,775 a year, his car that cost $920 a year, or splurge for a movie ticket at $.30 each. And paying $420 yearly tuition to send a child to Harvard University was also out of the question. After doing all that for 6 years and two months he had $10,000 set aside to invest! In 1942, to save $10,000 in order to invest it in the S&P would have been a difficult if not impossible thing to do. If they were able to accomplish such a task and plunk their hard earned money into the S&P and then waited 76 years, then yes, that original investment would be worth about $51 million today, as Mr. Buffett stated. Though Mr. Buffetts example is impressive, consider the following. On October 5, 2009, when bitcoin was first available to the public, $1 bought a total of 1,309 bitcoins. On December 17, 2018, bitcoin hit an all-time high of $19,783 each. That $1 investment turned out to be worth $26 million. By any measure, that is a great return on an investment and best of all you did not have to wait 76 years to realize the profits. But lets assume you were unwilling to risk even $1 on something so mysterious as bitcoin. Cautiously, you could have formed an investment club with 10 deep pocketed close friends, asking each to put up $.10. Assuming they had $.10, that modest investment would have been worth nearly $2.6 million, 9 years later. Imagine! Hindsight is defined as, the ability to understand, after something has happened, why or how it was done and how it might have been done better. Nonetheless, in the world of investing, past results are not indicative of future performance. Which, of course, reminds me of the old saw, hindsight is 20-20. It is always fun looking back at events and saying, I coulda, shouda and woulda. But at the time, it was not so easy. My weekly column is sent to those that subscribe to my twice a day newsletter Commodity Insite and to my brokerage clients. Those that recently purchased my book, Haunted By Markets also receive it. It is sent to the handful of newspapers that publish my column on a Friday and to everyone else on a Saturday. And not all my columns are reprinted here on Inside Futures. If I can be of help drop me a line at commodityinsite1@gmail.com. Or, call me at 406 579 7482. And do take the time to check out Haunted By Markets at commodityinsite.com.